ï»¿ What is a Smoothing Capacitor? 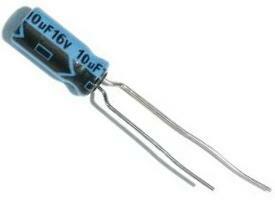 A Smoothing capacitor is a capacitor that acts to smooth or even out fluctations in a signal. The most common and used application for smoothing capacitors is after a power supply voltage or a rectifier. Power supply voltage can sometimes supply erratic and unsmooth voltages that fluctuate greatly. When a steady DC signal is needed and is necessary, a smoothing capacitor is the right component needed in order to smooth out the fluctuating signal to make it more steady. We'll go over an example of this now. A prime example of when a smoothing capacitor is used is in conjunction with a rectifier circuit. You can see now how much smoother the waveform is. It no longer goes all the way down to zero and back up. The capacitor charges up from 0 to the top of the waveform and then discharges from 0 to the bottom of the waveform. This charging and discharging smooths out the waveform so that it doesn't hit the extreme ups and downs. Thus, a smoothing capacitor is extremely useful in cases of fluctuating signals that need to be more constant and steady. Usually when choosing a smoothing capacitor, an electrolytic capacitor is used from anywhere from 10ÂµF to a few thousand ÂµF. The greater the amplitude of the fluctations and the greater the waveform, the larger capacitor will be necessary. Thus, if you're smoothing a 30mV waveform, a 10ÂµF capacitor may suffice to smooth out the signal. However, if you're dealing with a much greater signal, you will need a much larger capacitor, say, maybe 3300ÂµF in order to smooth it out to a near DC level. Experiment with the capacitors. Check the signal on an oscilloscope to see which capacitor suffices best and is best for the circuit at hand.